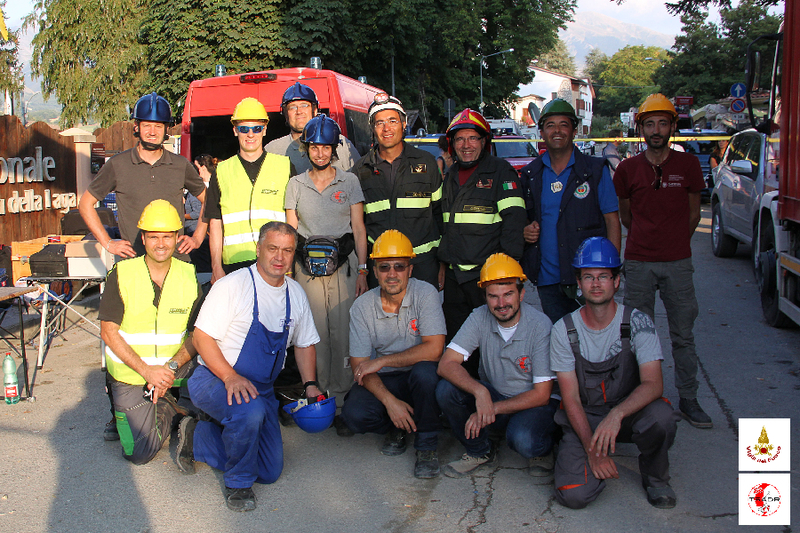 A TRADR team under the command of the VVFF officer Emanuele Gissi, coordinated by Ivana Kruijff-Korbayova (DFKI, Germany) and composed of TRADR project collaborators from the Sapienza University, Rome, Italy; Czech Technical University, Prague, Czech Republic; Fraunhofer Institute for Intelligent Analysis and Information Systems, Sankt Augustin, Germany and Ascending Technologies, Munich, Germany was assembled on short notice and arrived at the earthquake disaster site within 48 hours after receiving the request for help. The task was to use robots to provide 3D textured models of two churches, San Francesco and Sant’ Agostino, national heritage monuments from the XIVth century. Both were in a state of partial collapse and in need of shoring to prevent potential further destruction. 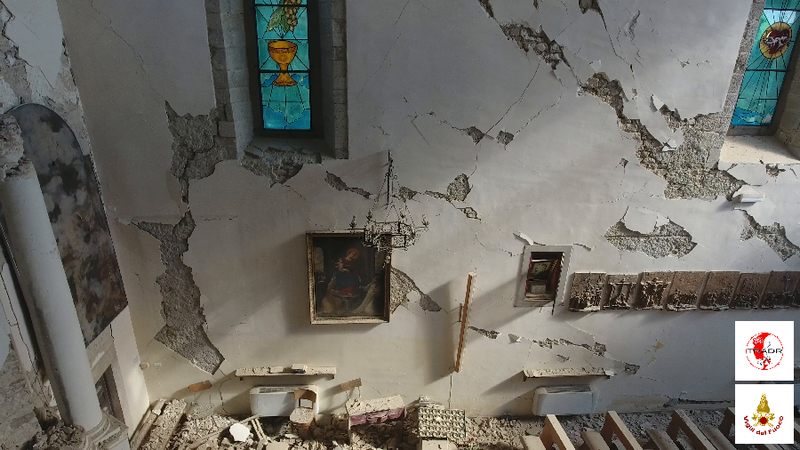 The models should serve to plan the shoring operations and to assess the state of various objects of cultural value inside the churches, such as valuable frescos. 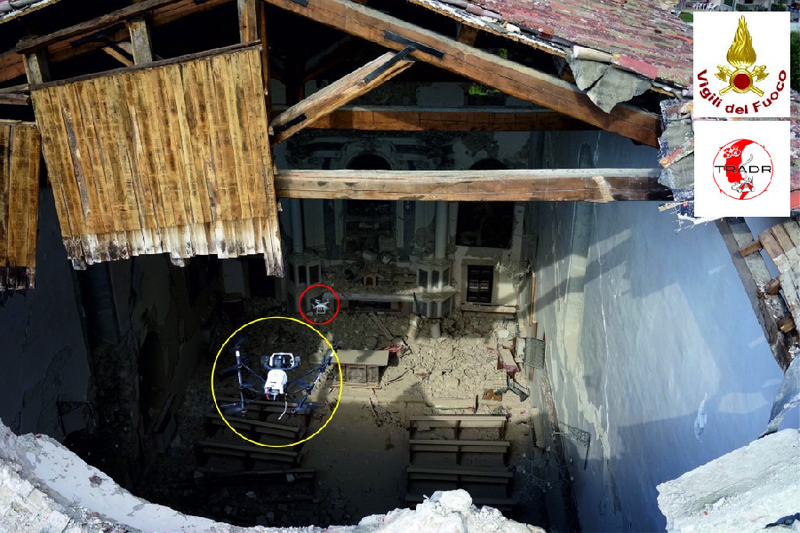 The UGVs successfully entered the San Francesco church, (operated by Vlada Kubelka and Mario Gianni, who were supported by Erik Zimmermann and Luigi Freda, respectively), teleoperated entirely out of line of sight and partially in collaboration. For part of the mission, one UGV provided a view of the other one to enable maneuvering in very constrained space with low connection bandwidth. One of the UGVs operated in the church continuously for four hours. A UAV was also present for a short time in parallel and provided additional views of the UGVs. 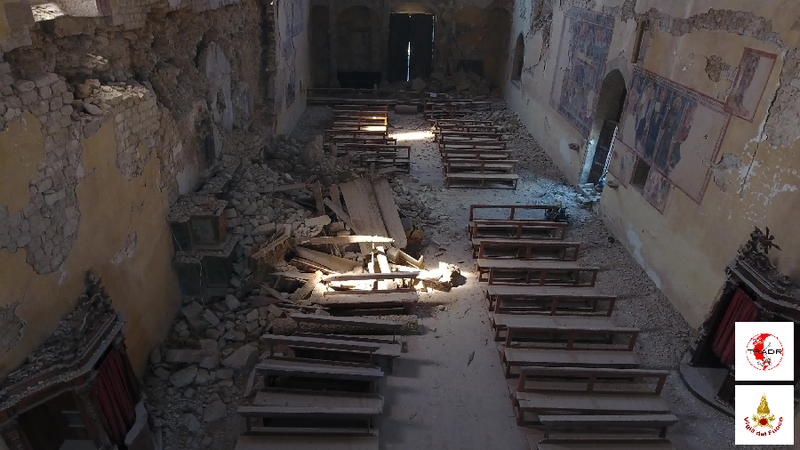 Several flights were carried out on the outside, and one flight inside of each church. Entering with a UAV was a tough challenge, which we could only manage thanks to a collaboration between three UAVs operated in parallel. While one UAV (piloted by Hartmut Surmann who was supported by Erik Zimmermann) entered through a hole in the roof the other two (piloted by Kresimir Dilic and Wolfgang Rottner) provided simultaneous video feed from different angles, that the pilot used as an additional source for orientation. An assistant watching the video then gave the pilot verbal instructions on how to fly. This demanding operation presented a teamwork masterpiece. To our knowledge, this was the first time several different kinds robots have been used in collaboration in a real disaster response deployment. The mission fulfilled its goal to collect data for the construction of high-quality textured 3D models, which have been provided both to the VVFF and to the Italian Ministery of Culture. Additional great success was the fact that the TRADR team was able to arrive and deploy at the location on such short notice. The VVFF has expressed high appreciation for the success of the TRADR project mission and smooth operation, and expressed their intention to continue and further deepen collaboration efforts. 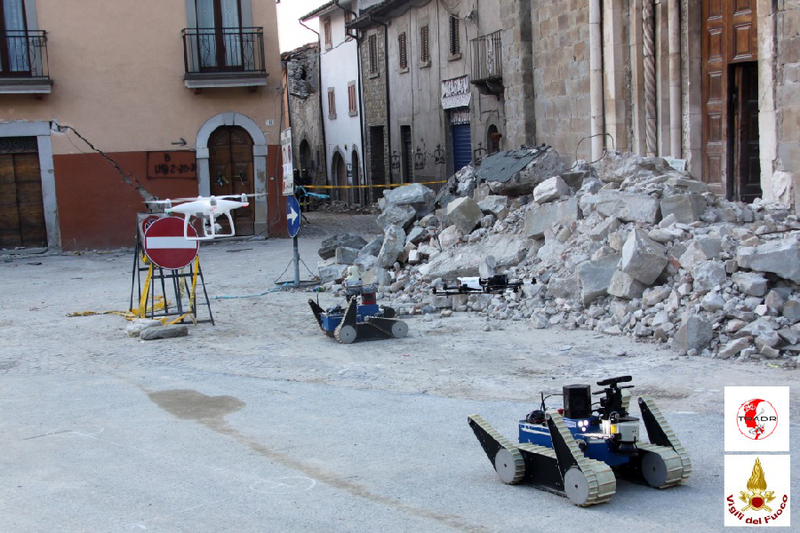 A late breaking report about the TRADR deployment in Amatrice will be presented at the 2016 IEEE International Symposium on Safety, Security, and Rescue Robotics (SSRR), October 23-27, Lausanne, Switzerland.